Apr 24th Join Us for Our Sale! 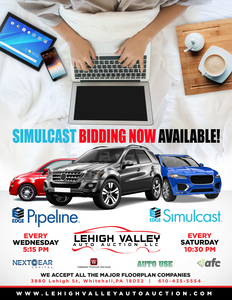 Every Wednesday @ 5:15 P.M.
Lehigh Valley Auto Auction, LLC is a Public Auto Auction located in the Lehigh Valley of Eastern Pennsylvania. 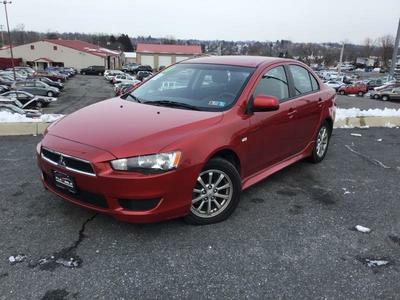 Our Public Car Auction specializes in selling trade-in vehicles from the areas biggest and best New Car Dealers. In addition are consignments from charities with car donation programs, repossession, lease vehicles and public sellers. 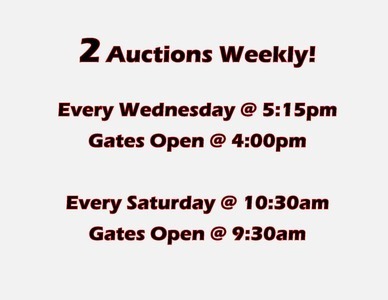 Our public auto auction is the same as restricted dealer only auctions. The biggest difference is that you, the public buyer, can purchase a real auction vehicle at a wholesale price. Over the past 20+ years we have sold tens of thousands of cars, trucks, vans, suv's, motorcycles, and other vehicles. 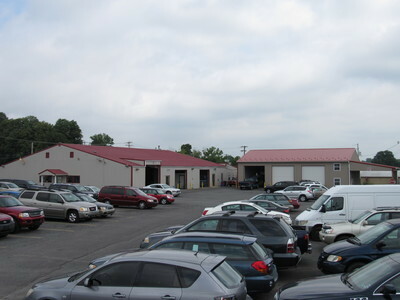 On a limited basis, the Lehigh Valley Auto Auction also sells ATV's and scooters. We have buyers from over 15+ states with thousands of public buyers. 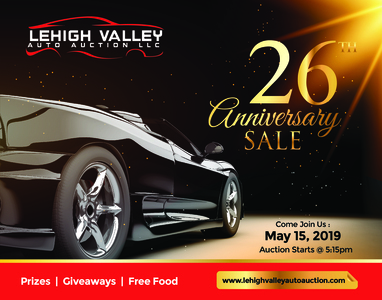 Lehigh Valley Auto Auction is one of only a handful of "REAL AUCTIONS, OPEN TO THE PUBLIC" in the entire country. Take a look at our live public car auction video to experience the excitement of a Dealer/Public Auto Auction. So if you are interested in buying a vehicle at a wholesale price without the retail dealer markup come and see us! As an auto auction company, our goal is connect both the buyer and the seller in a fair and cooperative environment. We strive to provide the personal touch that many corporate companies simply cannot provide. Additionally, our unique prospective on the public adds a third dimension to our business model by opening up a new market for vehicle sales in the auction industry.